Please call me at 805-451-5429. 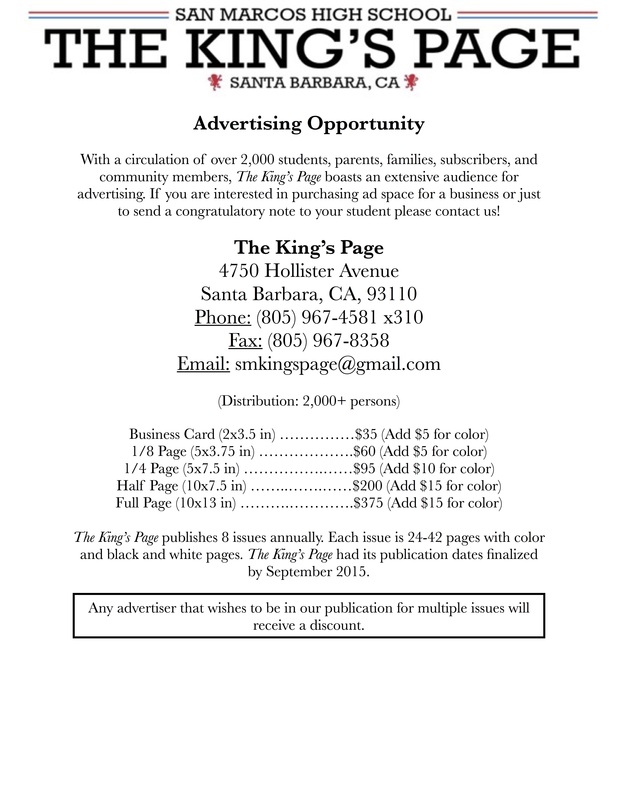 I am interested in advertising in the Kings Page. is located at 5870 Hollister Ave in old town Goleta. Thanks ! Look forward to hearing from you .